One week prior to choosing your kitten, and upon receipt of your deposit, Templedolls will email you the *full contract to be signed and returned to Templedolls. Adoption of a cat/kitten cannot be completed without a full contractual agreement. Templedolls does not discriminate against any family; however, does reserve the right to refuse sale to anyone. 2. Buyer will provide all lawfully mandated inoculations. 3. Buyer will provide all necessary medications for the prevention of parasites and worms. and be provided medications for the control/prevention of parasites and worms. doing so results in a void of all Templedolls guarantees. G. Buyer agrees not to declaw a Templedolls cat/kitten. H. Buyer agrees not to allow said Templedoll cat/kitten to roam freely outside. 1. Cats/kittens are allowed outside on a leash or in a secure enclosure or run. agree to the pertaining contractual agreements of such activities. J. Default on any owner/purchase agreement can result in Templedolls reclaiming ownership of said cat/kitten. A. There is a two-year health guarantee that a Templedolls Ragdoll kitten is free from genetic homozygous HCM and PKD. B. All Templedolls kittens will have had age appropriate veterinary examinations and innoculations. 1. Templedolls will provide these records to the buyer. A. 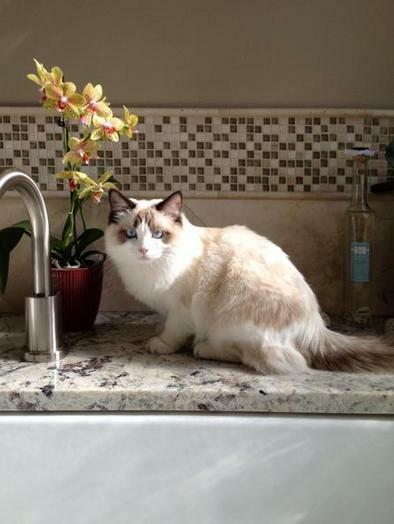 All Templedolls Ragdoll cats/kittens are required to be spayed/neutered (unless contracted with breeding rights). 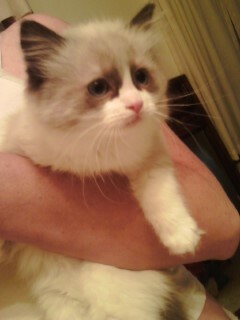 A. Templedolls Ragdoll kittens will posess the quintessential Ragdoll temperment traits. B. Templedolls kittens are litter box trained, weaned from their mother, and able to eat dry cat food. A. 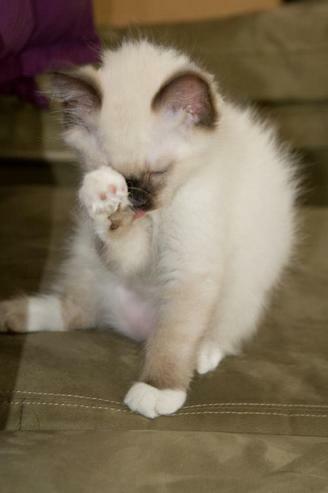 The buyer agrees not to sell any Templedolls Ragdoll cat/kitten under any circumstances. B. If the buyer can no longer care for the cat/kitten, it must be returned to Templedolls. 1. Any refund would be negotiated on a case by case basis. well as the breeders section of the contract. C. Breeding rights will only be sold to established and registered catteries on a case by case basis. D. Breeders must register cat/kitten through CFA and/or TICA within 4 weeks of receiving registration papers. A. Buyer agrees to register said cat/kitten with CFA and/or TICA as a Templedolls cat. B. Buyer agrees to inform Templedolls of any wins in show. 1. Buyer will provide a picture and description of the win and show. 2. Templedolls reserves the right to proudly display winning show cats/kittens on the Templedolls website. 1. Templedolls reserves the right to refuse refunds in cases of communicable disease, accident, or injury. the Temple Dolls cattery) within the first 30 days of purchase. 1. A veterinary report is required. 1. The buyer will be placed first in queue for a replacement kitten. C. Templedolls will refund or replace a kitten if any Templedolls guarantee is not met. D. Templedolls reserves the right to retain the $250 kitten deposit on any return of a cat/kitten. A. Default on any owner/purchase agreement. B. Default on any spay/neuter agreement. C. Default on any breeding agreement. D. Default on any show agreement. to Templedolls without the possiblity of financial restitution to the buyer. 1. Shipment of cat/kitten back to Templedolls will be at the expense of the buyer. and are non-refundable if a sale is not completed. order with no additional fee. * Small changes are often added to the contract as we continue to learn and grow. The full contract for your kitten will be sent to you over email. The contract on this page outlines the majority of our detailed kitten contract, which is provided only to our adoptive families. This detailed contract was created to protect our precious ragdolls, their adoptive families, and Templedolls Ragdoll Cats of Colorado, LLC. A daughter of Lotus and Poe.